Recent Updates! New Paint and Flooring Throughout! Kitchen and Bathroom Also Recently Updated! 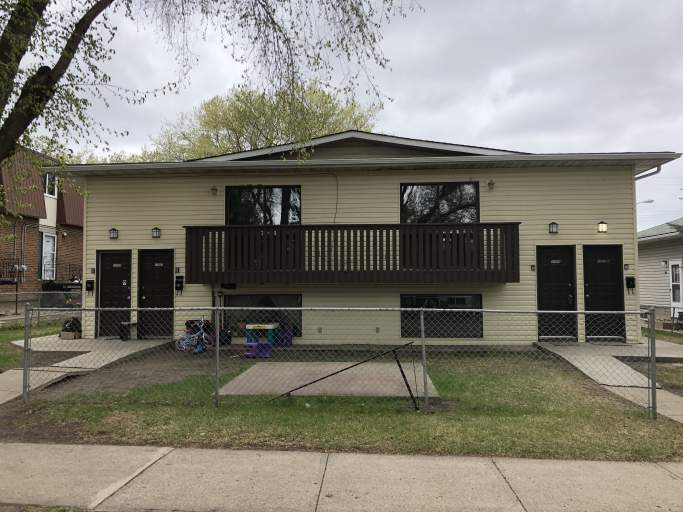 Located just off Wayne Gretzky Drive and Yellowhead Highway, this wonderful 4-Plex in Montrose is sure to impress! The quiet neighborhood offers easy access to Northlands and Borden Parks, Concordia University, and even the Coliseum LRT Station. Plus, this area is perfect for families as Eastglen School and Highlands Public Library are just blocks away! The lower floor unit features its own private entrance, a massive front living room with a large window, a spacious dining area and a bright kitchen with plenty of cupboard and counter space along with a full-size fridge and stove. Down the hallway you will find a large storage/laundry room, home to your own private washer and dryer, a full bathroom complete with a tub shower and three spacious carpeted bedrooms each offering large windows and built-in closets. Utilities are entirely self-contained, meaning each unit offers their own furnace and hot water tank and you will have complete control over temperature and usage! No more sharing utilities! One Outdoor Energized Stall Included in Rent.